Cattle egrets are originally from Africa. They spread naturally to the north coast of South America in the 1870s and from there northward across the continent, reportedly reaching the United States in the 1940s. They were deliberately introduced to Hawaii in the hopes that they would control flies that were harassing cattle herds in the islands. They released a total of 105 birds in groups of a dozen or so at selected ranches (2 each on Oahu and Hawaii and one each on Kauai, Molokai, and Maui), including Kualoa Ranch on Oahu, while 16 egrets remained at the Honolulu Zoo. The zoo birds were released in 1961. The cattle egrets thrived in Hawaii and by the early 1970s colonies of up to 1,500-2,000 breeding birds were reported from Oahu and Kauai. By 1981 the statewide population was estimated at 30,000 birds. 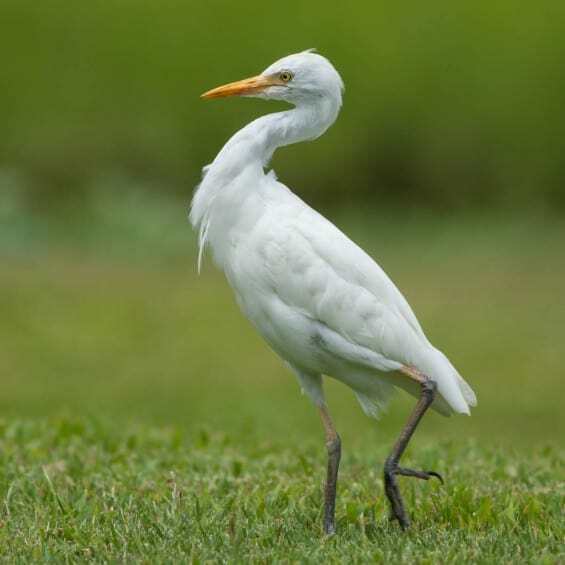 Cattle Egrets are considered a pest as they are nest predators of Hawaiian Stilts and Hawaiian Coots. They return to their roosts in trees about a quarter-mile from the wetland each evening at sunset.